The latest version of Firefox is now available for automatic update. To install the update, simply open your existing Firefox and select "Check for Updates" on the Help menu. Why in the world would Hillary and Obama support the Honduras president?? Read this factual accounting of the recent events in Honduras from the Wall Street Journal, and then somebody please explain why the Obama administration would even think of supporting the ousted Honduras president, who is trying to re-make his country into the next Venezuela? Obama would not even stick his neck out to support the people fighting for freedom in Iran, but he WILL go as far as calling the events in Honuras illegal??? The actions taken there were directed by the nation's Supreme Court, and the president of that country was trying to force his country to act against its counstitution and its Supreme Court. Will this president of ours EVER do something logical? I simply don't get it. Fidel Castro and Hillary Clinton object. Hugo Chávez's coalition-building efforts suffered a setback yesterday when the Honduran military sent its president packing for abusing the nation's constitution. It seems that President Mel Zelaya miscalculated when he tried to emulate the success of his good friend Hugo in reshaping the Honduran Constitution to his liking. But Honduras is not out of the Venezuelan woods yet. Yesterday the Central American country was being pressured to restore the authoritarian Mr. Zelaya by the likes of Fidel Castro, Daniel Ortega, Hillary Clinton and, of course, Hugo himself. The Organization of American States, having ignored Mr. Zelaya's abuses, also wants him back in power. It will be a miracle if Honduran patriots can hold their ground. That Mr. Zelaya acted as if he were above the law, there is no doubt. While Honduran law allows for a constitutional rewrite, the power to open that door does not lie with the president. A constituent assembly can only be called through a national referendum approved by its Congress. Calculating that some critical mass of Hondurans would take his side, the president decided he would run the referendum himself. So on Thursday he led a mob that broke into the military installation where the ballots from Venezuela were being stored and then had his supporters distribute them in defiance of the Supreme Court's order. It remains to be seen what Mr. Zelaya's next move will be. It's not surprising that chavistas throughout the region are claiming that he was victim of a military coup. They want to hide the fact that the military was acting on a court order to defend the rule of law and the constitution, and that the Congress asserted itself for that purpose, too. Mrs. Clinton has piled on as well. Yesterday she accused Honduras of violating "the precepts of the Interamerican Democratic Charter" and said it "should be condemned by all." Fidel Castro did just that. Mr. Chávez pledged to overthrow the new government. Many Hondurans are going to be celebrating Mr. Zelaya's foreign excursion. Street protests against his heavy-handed tactics had already begun last week. On Friday a large number of military reservists took their turn. "We won't go backwards," one sign said. "We want to live in peace, freedom and development." The OAS response is no surprise. Former Argentine Ambassador to the U.N. Emilio Cárdenas told me on Saturday that he was concerned that "the OAS under Insulza has not taken seriously the so-called 'democratic charter.' It seems to believe that only military 'coups' can challenge democracy. The truth is that democracy can be challenged from within, as the experiences of Venezuela, Bolivia, Ecuador, Nicaragua, and now Honduras, prove." A less-kind interpretation of Mr. Insulza's judgment is that he doesn't mind the Chávez-style coup. I was very sad to see this. 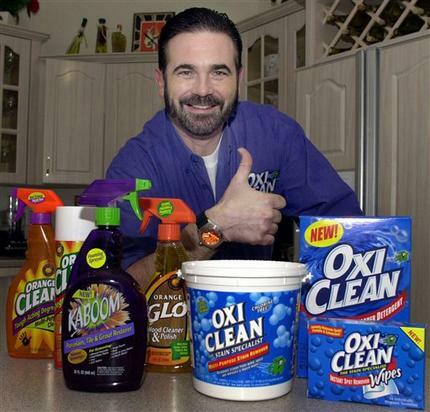 TAMPA, Fla. (AP) -- Billy Mays, the burly, bearded television pitchman whose boisterous hawking of products such as Orange Glo and OxiClean made him a pop-culture icon, has died. He was 50. Tampa police said Mays' wife found him unresponsive Sunday morning. A fire rescue crew pronounced him dead at 7:45 a.m. It was not immediately clear how he died. He said he was hit on the head when an airplane he was on made a rough landing Saturday, and his wife, Deborah Mays, told investigators he didn't feel well before he went to bed about 10 p.m. that night. There were no signs of a break-in at the home, and investigators do not suspect foul play, said Lt. Brian Dugan of the Tampa Police Department, who wouldn't answer questions about how Mays' body was found because of the ongoing investigation. The coroner's office expects to have an autopsy done by Monday afternoon. "Although Billy lived a public life, we don't anticipate making any public statements over the next couple of days," Deborah Mays said in a statement Sunday. "Our family asks that you respect our privacy during these difficult times." Tampa Bay's Fox television affiliate interviewed Mays afterward. Tampa police spokeswoman Laura McElroy said linking Mays' death to the landing would "purely be speculation." She said Mays' family members didn't report any health issues with the pitchman, but said he was due to have hip replacement surgery in the coming weeks. Laura Brown, spokeswoman for the Federal Aviation Administration, said she did not know if Mays was wearing his seat belt on the flight because the FAA is not investigating his death. U.S. Airways spokesman Jim Olson said there were no reports of serious injury due to the landing. "If local authorities have any questions for us about yesterday's flight, we'll cooperate fully with them," he said. "His innovative role and impact on the growth and wide acceptance of direct response television cannot be overestimated or easily replaced; he was truly one of a kind," Khubani said of Mays in a statement. Commercials and informercials followed, anchored by the high-energy Mays showing how it's done while tossing out kitschy phrases like, "Long live your laundry!" As part of "Pitchmen," Mays and Sullivan showed viewers new gadgets such as the Impact Gel shoe insert; the Tool Band-it, a magnetized armband that holds tools; and the Soft Buns portable seat cushion. "One of the things that we hope to do with 'Pitchmen' is to give people an appreciation of what we do," Mays told The Tampa Tribune in an April interview. "I don't take on a product unless I believe in it. I use everything that I sell." His former wife, Dolores "Dee Dee" Mays, of McKees Rocks, Pa., recalled that the first product he sold was the Wash-matik, a device for pumping water from a bucket to wash cars. This post is for anyone who has looked for good anti-virus/anti-malware software. Microsoft just today came out with a beta of their latest security software, which previously had the code name "Morro". The official product name is Microsoft Security Essentials. Like the other Windows Live software Microsoft offers, the new security software is free, and will always remains free. It is a direct replacement for the company's OneCare software, which I personally use, and which I have recommended to many people. The new software removes the backup and firewall components from OneCare, but those components were really unnecessary anyway, because they are built into Windows. I have installed the new Security Essentials myself, and it is perfect for what I look for in security software: it is simple, it doesn't annoy you with a bunch of notifications about every nit and nat, and it has excellent malware detection, with fantastic ability to differentiate between real malware and "false positives". There are only 75,000 slots open for the beta program, so if you want to give it a try, swing over to the following link right now, and at least get the installer downloaded, even if you install it later. I have been running for over a year now without any of those big security suites installed (like Norton, McAfee, Kaspersky, ZoneAlarm, etc. ), and I couldn't be happier. They were a big waste of time and frequently slowed down my computer. Microsoft's firewall that's built into Vista is as good as any firewall in those security suites (it is actually superior to most), so why would I want to replace it with some other company's software? Microsoft's OneCare is currently one of only three products to get certified by the industry standard tests (can't remember the name of it), and the new software uses the same security engine — so it's really good. I love that the installer immediately downloads the latest virus updates and runs a quick scan, without having to kick it off yourself or hunt for the right button. 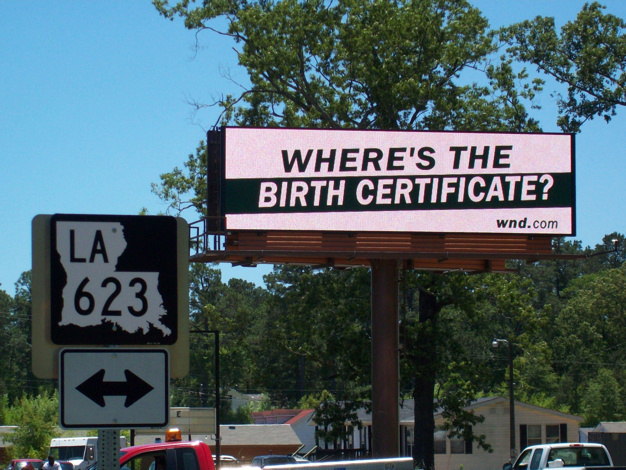 I have such intense disdain for the massive bias being played out in major newspapers and TV broadcasts in the USA. It is a complete lack of honesty, and any remnant of journalistic integrity has been discarded a long time ago. The media is nothing but an arm of the Democrat party at this point. Democrats: it might make you feel good that the media is so firmly supporting everything your party stands for, but don't deceive yourself: it is YOUR country that is going down the toilet because of a lack of an independent news media. You are no longer getting the truth. You are getting force-fed messages that alter and control your opinion. Here's just another of a string of articles lately detailing the prevailing media bias. President Barack Obama has gone to the golf course at least 11 times since he took the oath of office a little more than six months ago — three rounds were played during the late January, 12-day holiday Obama took with his family in Hawaii; one at Andrews Air Force Base; and seven at Ft. Belvoir Golf Course, including a round on Sunday, Father's Day, with Vice President Joe Biden. These 11 rounds played by the president are documented through media reports of his golf trips. The White House press office told CNSNews.com that to confirm every round of golf played by the president since he took office would take "hours" because the only records kept are those sent to the media through e-mails that are not posted on the White House Web site because they are for media planning only. Despite ongoing wars in Iraq and Afghanistan, ongoing violence in Iran, and an economy that Obama has described as the worst since the Great Depression, the president has golfed multiple times in the past several weeks — on April 26, May 16, May 25, May 31, June 7, June 9, June 14 and June 21. Obama's golf outings have generated favorable reports from the media, in contrast to his predecessor, George W. Bush. On Aug. 5, 2002, The Washington Post wrote about President Bush golfing near his parents' home in Kennebunkport, Maine. Under the headline "Before Golf, Bush Decries Latest Deaths in Mideast," staff writer Mike Allen described Bush as he "sprang from his golf cart at 6:15 a.m. and said he was distressed to hear about the latest suicide bombers in Israel." "Bush, wearing khakis and a knit shirt, was holding a driver in his gloved left hand," Allen wrote. "However incongruous the setting, the president plunged ahead," Allen wrote. "There are a few killers who want to stop the peace process that we have started, and we must not let them," he [Bush] said. "I call upon all nations to do everything they can to stop these terrorist killers." "His business out of the way," Allen wrote, "Bush barely paused for breath before saying, 'Thank you. Now watch this drive.'" A search of news reports on Nexis revealed that photographers, but not reporters have access to Obama when he is on the links. But his outings have been covered, including by The Washington Post on June 9, 2009, in an article with the headline "Just the Sport for A Leader Most Driven." "What's the deal? Why golf?" Post staff writer Richard Leiby wrote. "The attraction seems to be simple. It's a great escape; the game demands such attention that nothing else matters. It's time spent with friends, an unhurried afternoon in loose clothing (shorts seem to be Obama's preference)." Leiby continued, "To some, Obama's frequent outings reflect a cool self-confidence." "I don't want some mom whose son may have recently died to see the commander in chief playing golf," Bush said in an interview with Politico and Yahoo News on May 13, 2008. "I feel I owe it to the families to be in solidarity as best I can with them. And I think playing golf during a war just sends the wrong signal." Bush said he made the decision after the August 2003 bombing of the United Nations headquarters in Baghdad, which killed Sergio Vieira de Mello, the top U.N. official in Iraq and the organization's high commissioner of human rights. He was golfing when he got the news. "I was playing golf — I think I was in central Texas — and they pulled me off the golf course and I said, 'It's just not worth it anymore to do.'" Dallek said Bush's remarks about Iraq "speak to his shallowness." Dallek added: "That's his idea of sacrifice, to give up golf?" Bush's father, President George H.W. Bush, also was criticized for golfing in a time of war. In an Aug. 3, 2006 article in USA Today entitled "No Rest for the President," it noted that George W. Bush cut his summer vacation to 10 days because of the ongoing crisis in the Middle East, and a sidebar reviewed other presidential vacations. Among other things, the sidebar said, "George H.W. Bush: In 1990, Bush was criticized for playing golf and fishing at his Kennebunkport, Maine, summer home and seeming indifferent as U.S. troops were being deployed to the Persian Gulf in anticipation of a war with Iraq." "With his wife and daughters still in France, the president ducked out of the White House 90 minutes after getting home and headed out to the Andrews Air Force Base course with his clubs to enjoy a round, with skies only partly cloudy and temperatures about 80 degrees," United Press International reported on June 7. Spc. David A. Schaefer Jr., 27, of Belleville, Ill., died May 16 in Baghdad, Iraq, of wounds suffered when an improvised explosive device detonated near his unit. He was assigned to the 1st Battalion, 2nd Infantry Regiment, 172nd Infantry Brigade, Schweinfurt, Germany. Cmdr. Duane G. Wolfe, 54, of Port Hueneme, Calif., died May 25 from injuries suffered as a result of an improvised explosive device attack on his convoy southeast of Fallujah. Wolfe was assigned to the U.S. Army Corps of Engineers' Gulf Region Division in Iraq. Spc. Eduardo S. Silva, 25, of Greenfield, Calif., died June 9 at Bagram Airfield, Afghanistan, of a non-combat related incident. He was assigned to the 563rd Aviation Support Battalion, 159th Combat Aviation Brigade, 101st Airborne Division (Air Assault), Fort Campbell, Ky. The circumstances surrounding the incident are under investigation. Fans of Apple's Safari Web browser can rejoice: version 4.0 was officially released! Apple claims that it is the fastest Web browser on the market, but it is actually almost the fastest. The fastest browser is still Google Chrome. That's not just me saying it; I read a ZDNet report today, including actual performance statistics. Safari 4.0 is very fast. Chrome is just a little bit faster. The final release of Safari 4.0 definitely shows improvement over the beta. The Refresh button is still too small and almost hidden within the Address bar. The browser menus are very similar to Google Chrome; they exist in two icon-only buttons all the way on the right side of the toolbar. If you're a Safari user, I'd be interested to hear what you think of the new release. When I think of the quintessential American President, Ronald Reagan is the very first person to come to mind. There was always an irrational minority of people who opposed everything the man said and did, but the overwhelming majority of the country knew that Ronald Reagan was everything a president should be. After you watch this D-Day speech that commemorated the 40th anniversary of the great invasion, think to yourself, is there anyone alive today who could possibly inhabit such a larger-than-life persona? Or express themself with such utter conviction and truth of conscience? Every time Reagan gave a speech, you knew that he actually meant exactly what he said. What politician today exudes that same quality? I can't think of one. If you are not old enough to know Reagan, watch with an open mind, rather than listening to the interpretations of a hyper-active minority of rabid leftists, who are more hateful than truthful. Compare what you hear below with the D-Day speeches delivered this week. I think you'll find there is no comparison. This is how to show your love of country. This is how to speak about the great things your country has done when traveling abroad. Presidents should never go abroad and trash-talk the country they lead. Reagan would never do such a thing. Once again, we American taxpayers are the real losers because the media utterly refuses to scrutinize this president. As Pravda recently wrote: "American descent into Marxism is happening with breathtaking speed". In another odd twist left unexamined by the media, the White House on Monday said it simply would not release the cost of President Obama's weekend jaunt to New York City, where the First Couple had dinner and caught a Broadway show. There was, of course, an ironic element of the trip. In February, Obama scolded corporate executives (while also costing Las Vegas some $130 million) when he said: "You can't get corporate jets. You can't go take a trip to Las Vegas, or go down to the Super Bowl on the taxpayers' dime." But the Chief Executive (Oval) Officer had made a promise to his good wife that after the campaign, they'd take in a Broadway show, and darn it, he meant to keep that promise. First, the First Couple (and entourage) flew from the White House to Andrews Air Force Base — three choppers (two decoys), if the Marines stuck to standard operating procedure (and they are sticklers for SOP). That means dozens of men and women — radar, communications, mechanics, crews, everyone, perhaps 100, who knows? — were involved. (A batch of tagalongs must've taken a taxpayer pool of vehicles out from the White House to AAFB, since it took three jets to get the gang to NYC). Second, the president moving on a Saturday takes a full operation at and around the White House, dozens and dozens of people. Maybe they're all on salary, so that didn't likely cost much. But all the cops involved — D.C. police, uniformed Secret Service officers, Capitol police — were probably paid overtime, even double time. Probably, again, 100 personnel or so. Then there were the jets — at least $24,000 for the three aircraft used to ferry the Obamas, aides and reporters to New York. The Obamas' jet, a Gulfstream 500, served as Air Force One. Third, a C-17 had to fly to NYC to put in place a full motorcade (at least a dozen vehicles, maybe more). The military cargo plane may have taken up at least two, but maybe three, more choppers to fly the whole party from JFK to a Wall Street landing zone, where the motorcade was waiting. If not, the choppers flew there solo (White House veteran reporter Mark Knoller of CBS Radio wrote recently that "The VH-3D that serves as Marine One consumes about 1,200 pounds of fuel per hour." Ouch. Fourth, driving through Manhattan is an expensive exercise. Dozens, perhaps hundreds, of NYPD have to be stationed all along the way, shutting down roads, holding back pedestrians. There were police cars involved, dozens of motorcycles, and the ever-present NYC ambulance (oh, don't forget that the White House doctor also probably went — with all his gear). The city likely gets reimbursed by the White House for the cost (they usually do). And they were all probably getting time and a half (the NYPD overtime budget is extraordinary). Fifth, the United States Secret Service (USSS) had to scope out the whole thing, then station agents all over — sharpshooters, undercover agents, etc. — at a huge cost. Who knows if they were on overtime. And if you think they went up Saturday morning, think again. They were likely in NYC upwards of a week before, planning the whole evening, every second of every movement. They had to map out five movements - from JFK to the Wall Street LZ, then a motorcade to the restaurant, then another motorcade to the play, then a final motorcade back to the LZ, then a chopper flight to JFK, before the First Couple and crew jetted back to AAFB for another chopper to the White House. One thing is known — The Obamas picked up the cost of dinner costs and their orchestra seat tickets, which cost $96.50 a piece. So if the whole thing cost $250,000, the Obamas offset that by at least a few hundred bucks. Phew.